Yeshe Choedron is a retired medical doctor. 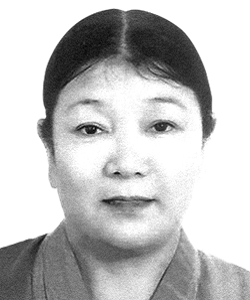 She has been in prison since 2008, when she was arrested in Lhasa and later sentenced to 15 years in jail for “espionage”. Her arrest and imprisonment are believed to be linked to her participation in the 2008 protests and her human rights activism. Yeshe Choedron is a mother and has not been able to see her children since her sentence. According to sources in Tibet, she is also in very bad health. She is believed to be in Drapchi Prison in Lhasa. Yeshe Choedron is part of Free Tibet's In The Dark campaign, which aims to find disappeared Tibetans and work for their release. We are working on the cases of eight political prisoners held by the Chinese authorities, all of whom remain cut off from the world with little or no information about their location or current condition. Urge China to release them and respect human rights! To find out more about the other cases please visit our campaign page. We are writing to you to express our deepest concerns regarding the case of Yeshe Choedron (益西曲珍), who has been in prison since 2008. We urge you to promptly reveal her present whereabouts and to push for her immediate release through medical parole. Yeshe Choedron is a former medical practitioner and a mother of two. She was detained on 14 March 2008 after she took part in peaceful demonstrations. She was later charged with espionage and accused of gathering and sharing “intelligence and information harmful to the security and interests of the state”. In November 2008 she was sentenced to a 15-year prison term. Although Yeshe Choedron is believed to be in Drapchi Prison, the authorities have not permitted her to receive visitors and her current detention conditions are unknown. Of particular concern is her health condition. Yeshe Choedron is known to be in poor health and the lack of information on her current condition and location raises concerns that she may be subject to torture or other forms of ill-treatment. If you aren't on our mailing list we won't be able to email you with news and updates. We only send emails around once a week and you can unsubscribe at any time.